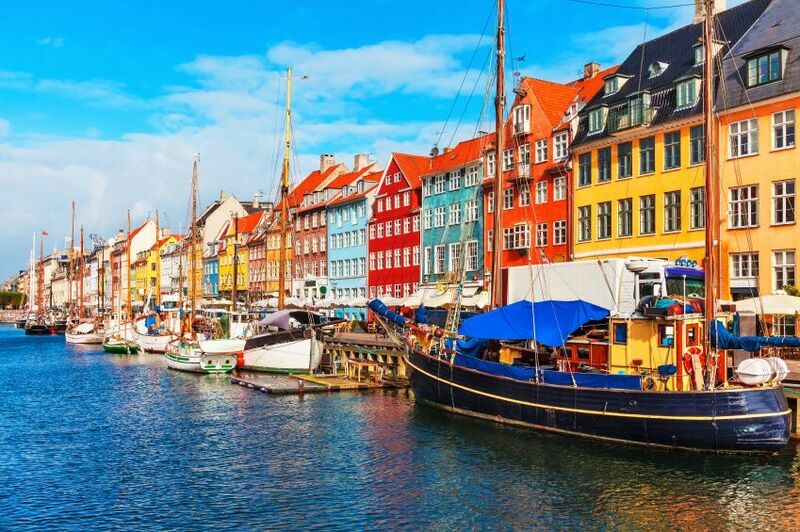 Denmark was recently voted as the world’s happiest country and it’s not hard to see why – beautiful coastline, brilliant cultural sights, stunning castles and plenty of adventure make Denmark a haven for joy. What makes this a country a great place to live also contributes to its status as an increasingly desirable travel destination. If you’re thinking of holidaying in the world’s happiest country, here’s five of the best things to do and see on your travels. Located north of Copenhagen in Hillerød, the fantastic Frederiksborg Palace was built in the early 17th century by King Chrisitan IV. Built in the Dutch Renaissance style the fairy tale castle spreads across three islets on a lake and its breath taking exterior is matched only by its sumptuous rooms. Gilded ceilings, tapestries and fine paintings, characterise the castle’s interior and the Slotskirken (coronation chapel) is arguably the highlight. The castle is also home to the fascinating Museum of National History which exhibits the history of the castle as well as a vast collection of portraits, historical paintings and modern art. The surrounding Baroque Garden and romantic landscaped gardens are also well worth wandering through. The Vikingeskibsmuseet (Viking Ship Museum) is home to superb displays including five Viking ships discovered at the bottom of Roskilde Fjord. Two of the ships are regarded as the best-preserved examples of wooden Viking boats in the world and were built in the 9th century. The museum is split into two sections; the Viking Ship Hall, which houses the boats alongside sledges, a cart with exceptional ornamentation, tools, harness, textiles and household utensils, and the Museums, where archaeological work takes place and replica Viking ships are built using traditional techniques and tools. Kronborg Castle, or Elsinore to Shakespeare fans, is perhaps Denmark’s most famous castle and the setting of one of the playwright’s most famous works, Hamlet. Located in Helsingør (or Elsinore as it has become known in the UK), north of Copenhagen in the east of Denmark, the castle has been around since 1420 and sits at the head of the Øresund Sound where it collected tolls from ships passing into the Baltic Sea. Kronborg’s Renaissance and Baroque interiors are a must-see as is the understated 62-metre ballroom and chapel. No trip to the castle would be complete without a walk around its crypts where you’ll meet the statue of legendary figure Holger the Dane who will wake from his rock throne and defend Denmark if it were in trouble. If you visit in the summer, the annual HamletScenen festival is a great way to spend a day. Running since 1816, the festival is very much a Danish institution and showcases world-class performances of Shakespeare’s work by some of the most widely acclaimed theatre companies. Opened in 1843, the Tivoli Gardens in Copenhagen inspired fairy tale writer Hans Christian Andersen when he was working on the famous ‘Nightingale’ story and it’s easy to see why as the gardens have an air of magic about them. The national treasure features exotic buildings, lush landscapes and brilliant rides ranging from a nostalgic wooden roller coaster, dating back to 1914, to the awesome Vertigo, a 60mph thrill ride. Thousands of coloured lights create a fairy tale atmosphere at night when the free open-air performances are well worth taking in. On Denmark’s tip you’ll find over 60 kilometres of remote, picture-perfect white sandy Blue Flag beaches around Skagen, perfect for sunbathing and plenty of fun. At Grenen, just north of Skagen, the Skagarak and Kattegat seas meet and create a spectacular display of clashing waves. The Kattegat beaches to the east of Grenen offer mild currents, smaller waves and plenty of shelter from the coastal winds.